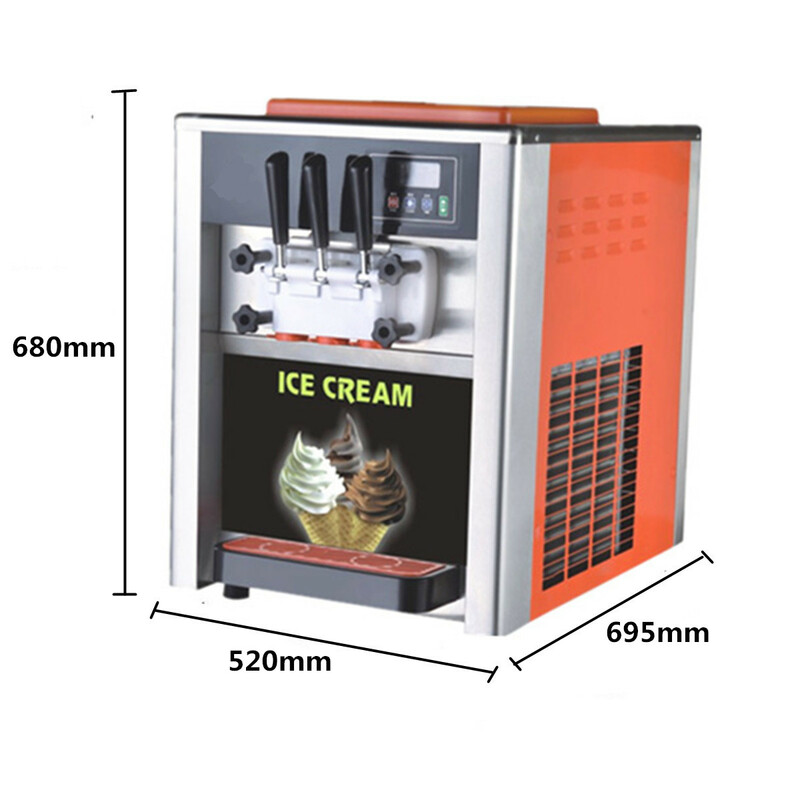 For just US$2,399.90 , buy AC 110V/220V 3 Flavor Steel Commercial Frozen Soft Ice Cream Cone Maker Machine from the China wholesale webshop. *The shell is made of stainless steel and adopt coloured drawing or pattern,beautiful,not rust,andvery durable. *Totally enclosed compressor, adopts advanced frequency conversion technology. *High power motor, large torque, strong driving force. 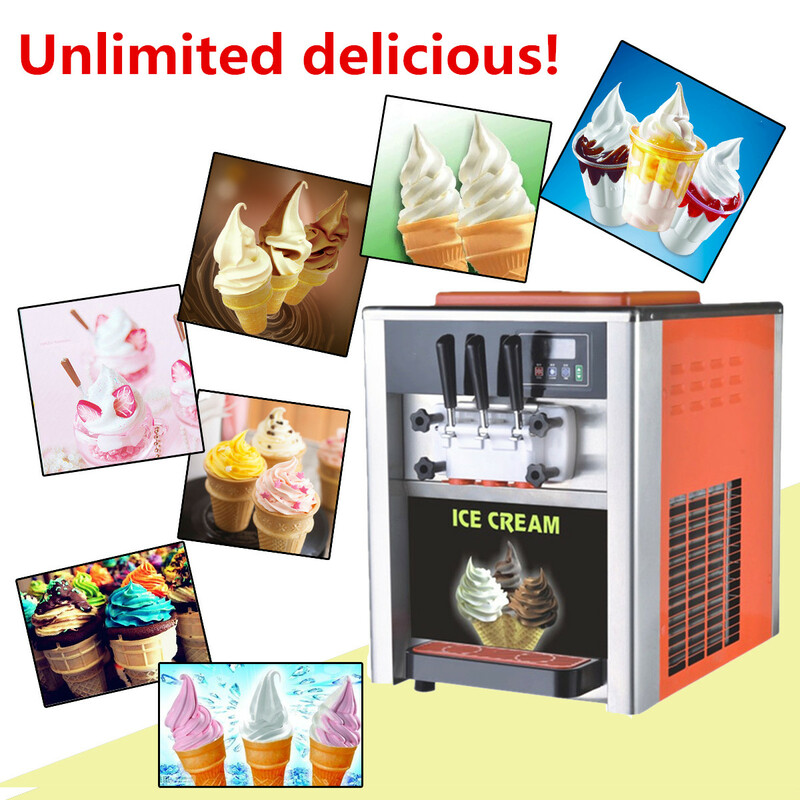 *New constant temperature foaming technology, better heat preservation effect and save electricity. *Efficient full brass condenser, ensure cooling effect and evenly heat dissipation. *Big blades fan, protect the condenser, speed up the cooling speed. 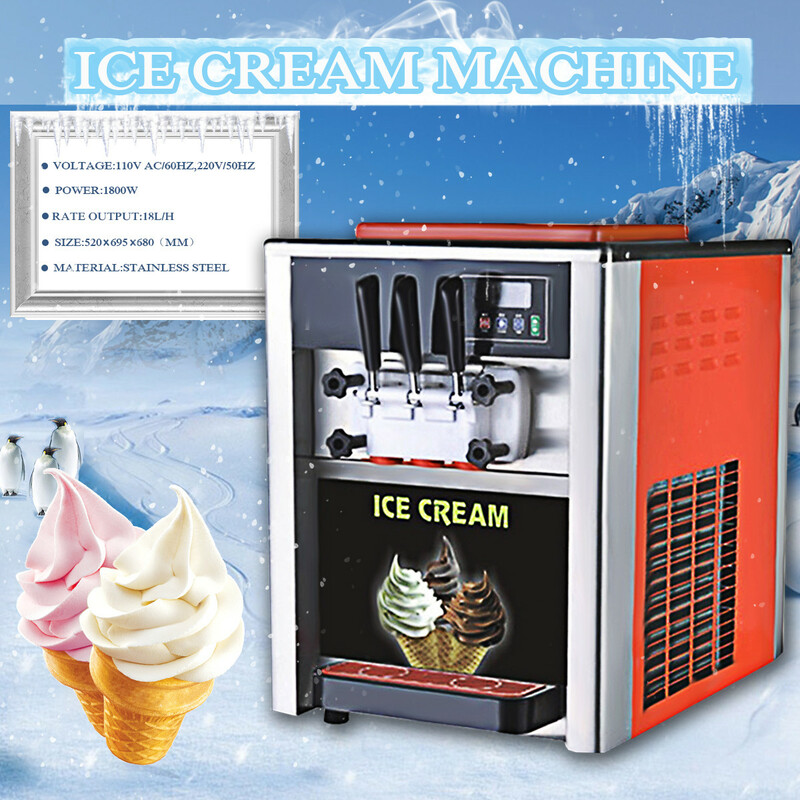 *Deepen material cylinder, each cylinder can be packed in pulp made of 1kg ice cream powder. *Wear-resisting stir bar, to bring more exquisite and smooth taste of ice cream. *Increase water box, leak proof, easy to clean. *Distributing valve, easy to make melange ice cream.